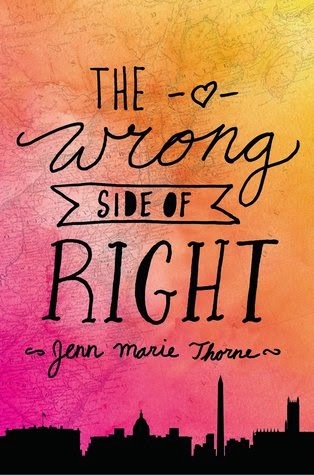 Yesterday night, I made my way over to The Astoria Bookshop, a cute little indie that's not so far from where I live, to be at the launch party for The Wrong Side of Right, the debut novel from Jenn Marie Thorne. 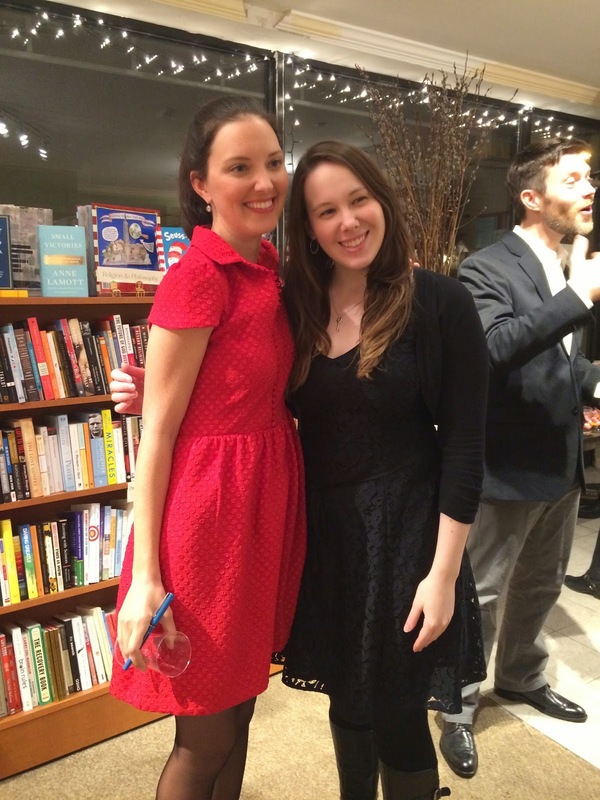 I had only started reading it the night before the event, but I was hooked on Kate's story. It is a read similar to The Princess Diaries-slash-All American Girl-slash-What A Girl Wants; translation: it's just the kind of story I would enjoy. 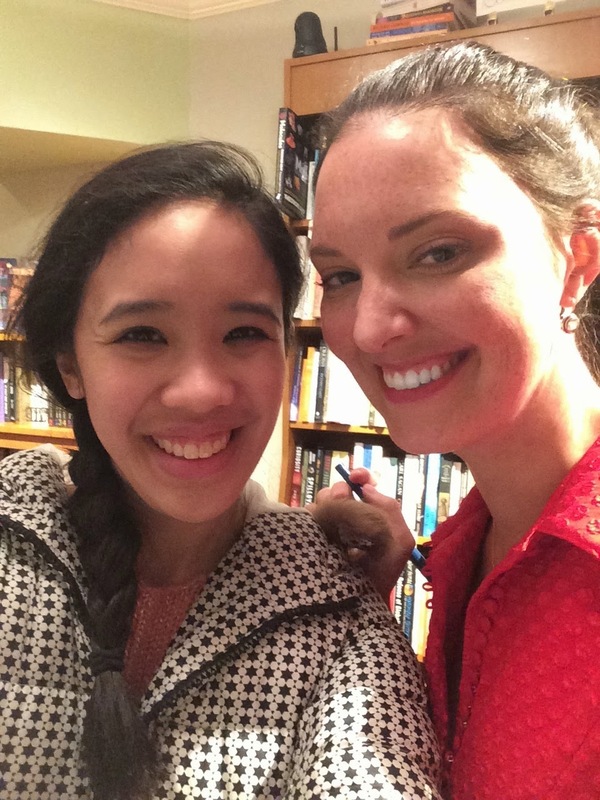 So you can imagine how eager I was to get to meet Jenn (and to finish her book post-event)! 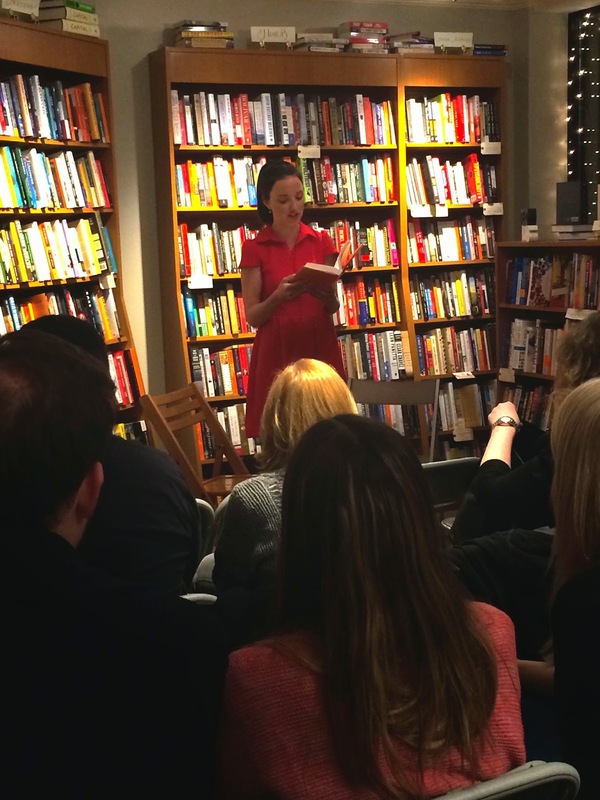 Jenn reading from her novel! 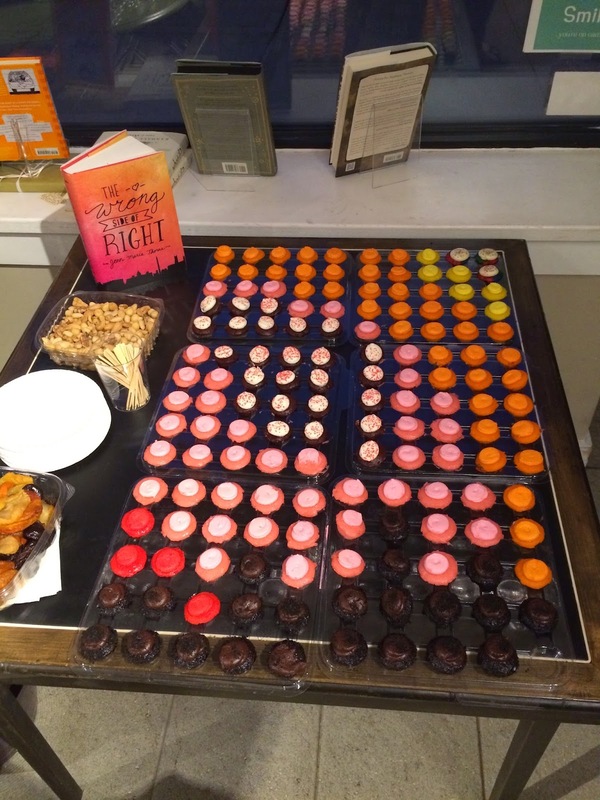 The event was delightful, with cupcakes (designed to mimic the book cover) + wine, a short reading of a particularly pivotal scene from the book, and a conversation between Jenn and author/editor Leila Sales. I've included a few highlights below. Where did she get the idea for the book? Jenn was inspired by stories like Arnold Schwarzenegger's son, and observing how they would talk around the kids the way most politicians do in order to protect their children. She wondered what it would be like to be an adolescent, to be trying to determine your own identity while having the country tell you it's scandalous. She's always been interested in politics and campaigns too, because she had friends involved in presidential campaigns. How involved is she in politics and how did it inform the way she wrote her book? Jenn is mostly an observer. She likes watching the machinations of politics, but like most of America, she watches it like it's a sporting event - which can be dangerous. She feels like it gets treated as a "your team versus my team", instead of the complex, nuanced set of messages and end directions for the country. She didn't necessarily campaign herself, but her friends did. How did you decide to include immigration as an issue in the book? Jenn says the larger theme is how politics can be impersonal, where politics doesn't necessarily consider the people involved. She feels like illegal immigration is a hot button issue that doesn't necessarily get the same amount of attention as other issues. What made you decide you wanted to write and not act? She's always been imaginative, and she thought that meant she was meant to be an actress. It took her time to realize that she didn't actually like to have people watch her act. She did work as an actress, and even moved to LA to pursue it. While there, she joined a writer's group, and continued to pursue writing until she drafted The Wrong Side of Right. What books would she recommend to readers? 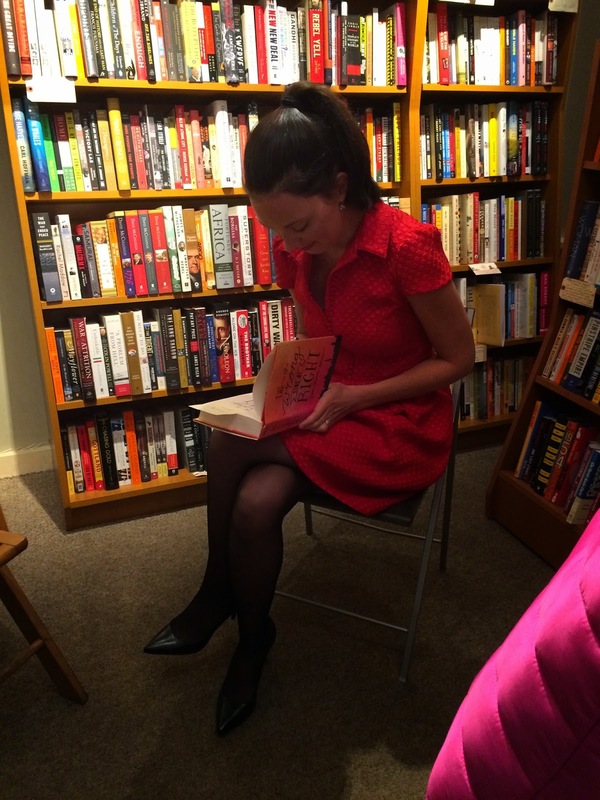 City of Savages by Lee Kelly is one of her favorite books this year. She feels it's a personal story within a dystopian setting. She also recommends This Song Will Save Your Life by Leila Sales, which she loved. She is obsessed with I Capture the Castle, and says that it's the best example of voice, "it's so true to life, and so beautiful". Also, she would recommend Margaret Atwood (particularly The Blind Assassin) and Sarah Dessen! Which fictional character would Kate be friends with? Lindsay suggested Sam from All-American Girl (who is an excellent choice, since they have similar circumstances). But Jenn says Elise from This Song Will Save Your Life would be friends with Kate, because they both are careful about how they communicate and have rich inner lives. 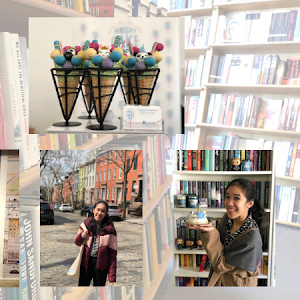 I hope you guys enjoyed getting the opportunity to see what went down at the launch party, and the mini-interview I conducted with Jenn! The whole night was just a lot of fun, and I most definitely think YOU need to check out The Wrong Side of Right. 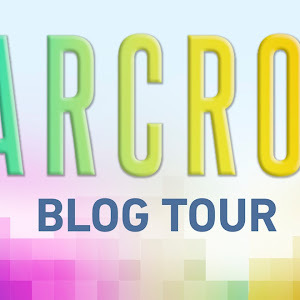 I'm including the book information, and below that, enter to win a giveaway for my ARC! This looks like it was so much fun! I love that there were coordinating cupcakes. I wish I had known about the event! I am amazed by that cupcake display! Soo cute! 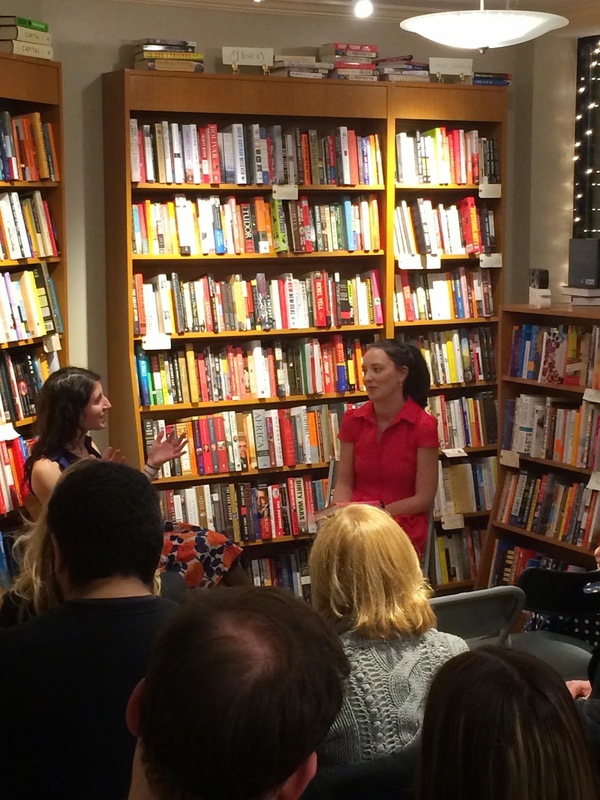 That's really special that you got to go to a book reading and have a chat with the author, and the space looks really intimate. 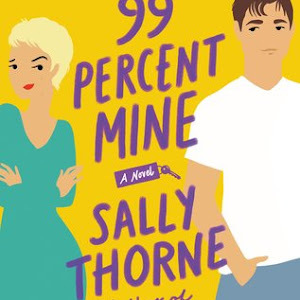 This book sounds so cute-- right up my alley too. Particularly glad to hear that she handles the immigration in the book well. And the launch party sounds like so much fun! The MC is like Sansa? 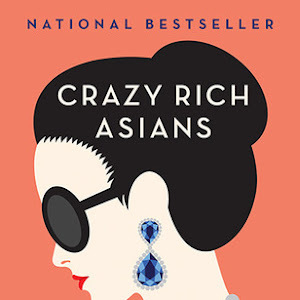 Well now I want to read this book even more! I've always been really interested in politics and electioneering so this seriously sounds like the perfect book for me. I definitely need to pick up a copy! She's definitely like Sansa in a subtle way - intellectual, stubborn and born to survive basically. But I hope you enjoy it! Ahhh I was so excited for this book months ago when I saw it! I'm so happy to see it's out now. I have to get a copy. I'm glad you can comment again, Lauren! And yes, definitely grab a copy of The Wrong Side of Right. It's sooooo good! Oh, very nice. Jenn is very pretty and I love those cupcakes! And I do like The Princess Diaries and What A Girl Wants. Sounds like fun. She's definitely just as sweet in real life! I loved getting to sit and chat with her for a bit. I think you'd really like her book, Hazel! 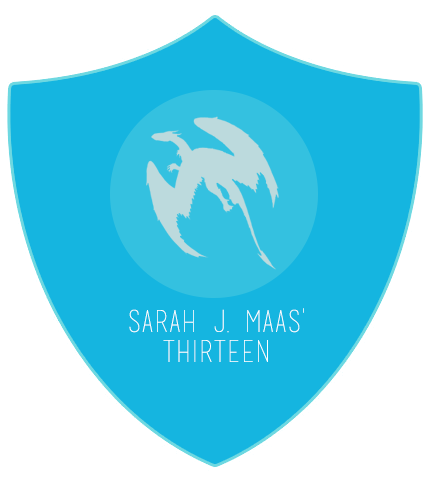 It's really, really good - a very solid YA contemporary debut for this year.